The Young Advisory Council (YAC) Chapter of Mobile Baykeeper is hosting a meet and greet at Serda Brewing on Wednesday, October 24 and you are invited to attend! The event will last from 5pm to 8pm and you can come and go as you please. On this evening, $1 of each Serda Brew consumed will come back to our work for clean water, clean air, and healthy communities. Thanks, Serda Brewing! The YAC consists off all members of our organization who are 21-35 years of age. They are governed by the Leadership Committee made up of 15 young professionals in Mobile and Baldwin County who share a vested interest in achieving our mission to provide citizens a means to protect the beauty, health, and heritage of the Mobile Bay Watershed and our coastal communities. They are looking to grow their membership and cultivate others who are interested in taking on a leadership role within our organization. Members of the YAC volunteer their time, talents, and treasure by participating in a variety of community outreach events throughout the year, assisting with the planning and preparation of Bay Bites Food Truck Festival, hosting Meet & Greets, and much more. We will not contact you unless there is a sudden change of plans regarding this event. 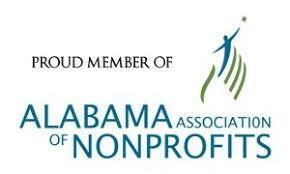 We appreciate your interest in the Young Advisory Council Chapter of Mobile Baykeeper. If you are not able to attend the event, we look forward to connecting with you soon. Thank you! To get involved or learn more information about the YAC, please contact Justine Herlihy at jherlihy@mobilebaykeeper.org or call 251-433-4229.